Jane Austen's first major novel, a parody of the popular literature of the time, is an ironic tale of the romantic folly of men and women in pursuit of love, marriage, and money. The humorous adventures of young Catherine as she encounters "the difficulties and dangers of a six weeks' residence in Bath" lead to some of Austen's most brilliant social satire. There is Catherine's hilarious liaison with a paragon of bad manners and boastfulness, her disastrous friendship with an unforgettably crass coquette, and a whirl of cotillion dances with their timeless mortifications. 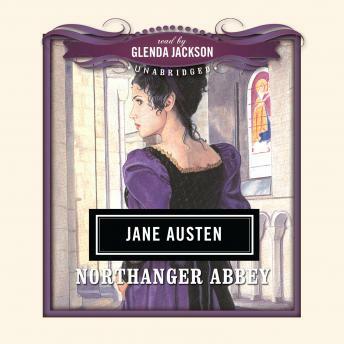 A visit to ancient Northanger Abbey, the ancestral home of the novel's handsome hero, excites the irrepressible Catherine's hopes of romance amid gothic horrors. But what awaits her there is a drama of a different kind, in this most youthfully exuberant and broadly comic of Jane Austen's works.